CDL programs are like boot camps for future truck drivers. At truck driving school, you’ll learn everything you need to know about safely maneuvering huge big rigs. Pay particular attention when your instructors discuss driving in severe weather. As a truck driver, you may encounter weather conditions you’re unaccustomed to. This is especially important if you’ve lived in a southern state your whole life and you plan to become an LTR trucker who ventures north into snowbound states. Although it’s important to drive distraction-free, you’ll need to monitor the latest weather reports on your radio. You should also pay attention to your CB radio. 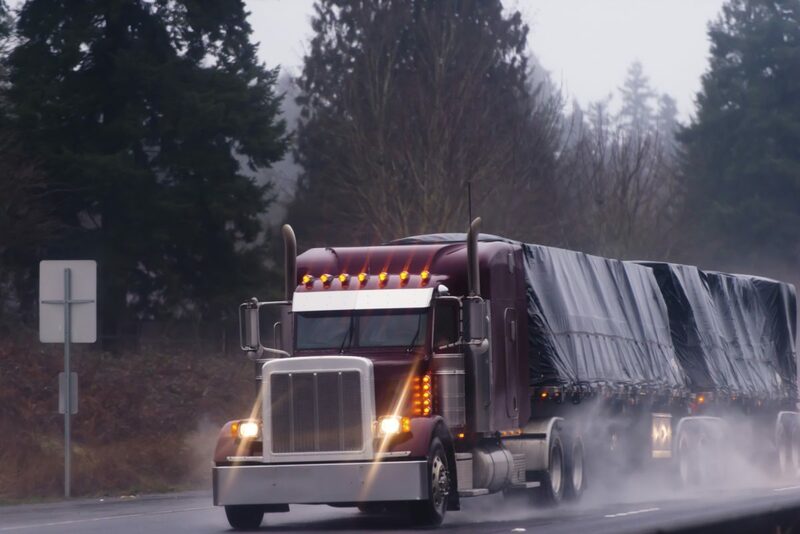 Other truckers may alert listeners to bad weather conditions on the road ahead. Additionally, remember to check the latest weather forecast before getting back on the road after taking a break. Never become overly confident about your ability to drive in snowy and icy conditions, no matter how much experience you have. Always reduce your speed more than you think you’ll need to. Don’t engage your Jake brake if the road is icy. Do leave extra space between your truck and every other vehicle on the road, and don’t be afraid to find a safe place to pull over if conditions become too dangerous. High winds are more dangerous for big rigs than they are for passenger cars because of the surface area of the trailer. Reduce your speed. If you’re hauling an empty trailer, know that the wind will be more dangerous for you. It’s smart to simply pull over and wait out the wind storm. CDL drivers often underestimate the potential danger of lightning. Remember that it’s quite likely you’ll be driving the tallest metal object in your area. This makes your truck a de facto lightning rod. Pull over at a rest stop to wait out the storm but stay away from the fuel pumps. HDS Truck Driving Institute prides itself on our world-class instructors and comprehensive curriculum. Call (877) 205-2141 to ask about enrolling in our CDL training program. We welcome military families!